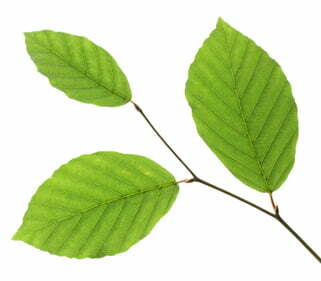 The Beech tree and Corn has proven to be a great healing aid via the substance Xylan, extracted from them. We are not going to spoon feed you on this one, too much has been written in technical papers and the veterinary industry which made the substance available for primarily horses and dogs has marketed the product as various brands. If you are suffering from joint problems this may be a journey worth taking. Xylan (CAS number: 9014-63-5) is a group of hemicelluloses that are found in plant cell walls and some algae. Xylans are polysaccharides made from units of xylose (a pentose sugar). Xylans are almost as ubiquitous as cellulose in plant cell walls and contain predominantly β-D-xylose units linked as in cellulose. Typically the content of xylans in hardwoods are 10 – 35 % of the hemicelluloses and in softwoods they are 10 – 15 % of the hemicelluloses. The main xylan component in hardwoods is O-acetyl-4-O-methylglucuronoxylan and in softwoods the main xylan components are arabino-4-O-methylglucuronoxylans. In general softwood xylans differ from hardwood xylans by the lack of acetyl groups and the presence of arabinose units linked by α-(1,3)-glycosidic bonds to the xylan backbone. Some macrophytic green algae contain xylan (specifically homoxylan) especially those within the Codium and Bryopsis genera where it replaces cellulose in the cell wall matrix. Similarly, it replaces the inner fibrillar cell-wall layer of cellulose in some red algae. Xylan is one of the foremost anti-nutritional factors in common use feedstuff raw materials. Xylooligosaccharides produced from xylan are considered as “functional food” or dietary fibers. New enzymes from yeast are discovered which exclusively converts xylan into only xylooligosaccharides-DP-3 to 7. Xylan is generally used to reduce friction, improve wear resistance, and for non-stick applications. Additionally, it can be used to protect a metal from corrosion. The most commonly known application is in non-stick cookware but Xylan coatings have also been used extensively in the automotive industry and for corrosion protection in the oil and gas industry. Xylan is the umbrella trademark for most of the Whitford Corporation fluoropolymer coatings line. Xylan is made of low friction, wear resistant composites of fluoropolymers and reinforcing binder resins. Xylan® coatings can be one-, two- (primer and top-coat), and three- (primer, mid-coat, top-coat) coat conventional and reinforced (filled) coating systems. Pentosan polysulfate (PPS, (1->4)-β-Xylan 2,3-bis(hydrogen sulfate) with a 4 O-methyl-α-D-glucuronate) is a semi-synthetic polysulfated xylan sold for the relief of various medical conditions including thrombi and interstitial cystitis in humans and osteoarthritis in dogs and horses. The calcium salt of PPS was one of the first reported disease-modifying osteoarthritis drugs (DMOAD). Rosettamoon found one of the products, Thrombocid, readily available for humans, however, the direct injection method which shows veterinary promise is not available to humans, when pharma make the full product available they will have got it right! Let us know how you go and please post back any other products you find. The featured image is from All about Beech Trees.